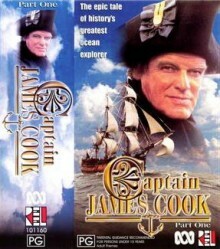 The eight-hour mini-series Captain James Cook is an incisive portrayal of Captain James Cook, the man, and his battle against class prejudice in England as well as the elements in his three epic voyages. The series reflects Cook’s brilliance as a navigator and sailor, his enormous impact on the islands of the South Pacific and his skills in charting so much of Australia’s coastline. Have you watched the series? Be the first to write a review.